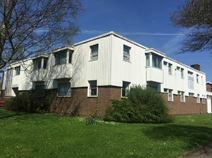 Spacious modern building set amidst landscaped gardens situated. A variety of professional, furnished and unfurnished offices with flexible contract terms available. Facilities include meeting rooms, an abundance of car parking and secretarial services. Within 15 minute access of the M4 and M50/M5. Newport mainline station is within a 30 minute drive, while both Bristol and Cardiff airports are within an hour. Range of offices to let in this business centre with flexible terms. Located in the historic market town of Monmouth close to the town centre and with easy access to the A449 dual carriageway, 20 minutes’ from both the M4 and the M50.